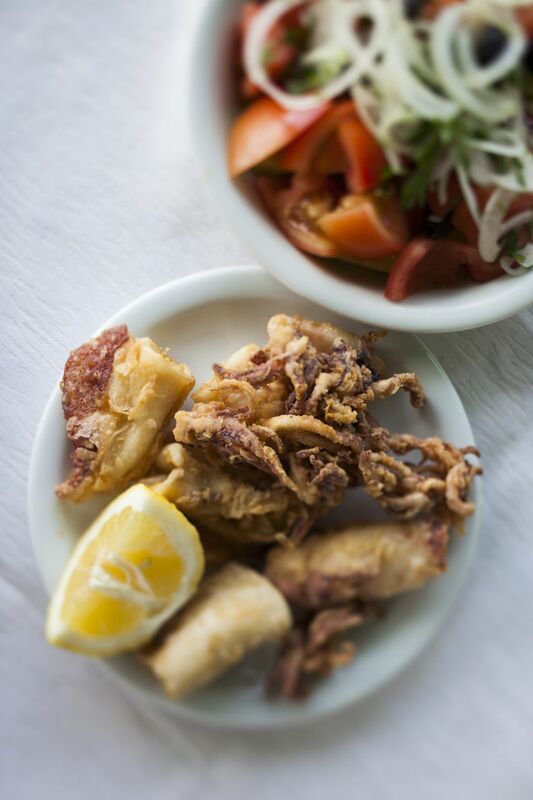 Fried calamari is a popular appetizer at restaurants. This version of fried squid uses a simple but flavorful beer batter. If you do not have a deep-fryer, simply use a deep, heavy skillet. Serve with condiment bowls of spaghetti sauce for dipping. Recipe reprinted with permission from The Joy of Seafood by Patrice Boely (Barron's). In a mixing bowl, combine flour, 1 tablespoon peanut oil, salt, and pepper and whisk to combine. Whisk in beer a little at a time. Carefully fold in the egg whites.